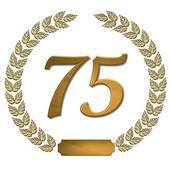 Michael Baker International is planning a year of events and celebrations in 2015 to celebrate the company’s 75th anniversary. Michael Baker International started as an engineering and surveying consulting firm in 1940. It has now become a global provider of engineering, development, intelligence and technology solutions. Michael Baker International’s more than 5,000 professionals are located at more than 90 offices worldwide and have successfully completed projects in more than 150 countries. Some of the company’s signature projects include: the New River Gorge Bridge in West Virginia; the Route 52 Causeway in New Jersey; the Trans-Alaska Pipeline System; the Marblehead Planned Community in San Clemente, California; and the U.S. Chancery in Manila, Philippines. Throughout its history, the company has worked to establish its reputation as a company that delivers technically innovative work to strengthen communities. To help kick-off the company’s diamond anniversary, Michael Baker International has redesigned its website to better highlight its deep history and showcase some of the enginerering projects the company has been involved with. The website also offers visitors more opportunities to explore the global markets and diverse practices served by the company.